The Peaky Blinders star recorded his rapping efforts under the name Tommy No 1, and it's actually pretty decent. Move over Tom Hardy's Myspace because, there's a new piece of the star's past to enjoy! A 1999 rap mix tape entitled Falling On Your Arse by "Tommy No 1 + Eddie Too Tall" surfaced on Reddit this week, showcasing the actor's rapping and writing skills. The Dunkirk star has recently been credited with saving a litter of puppies, rescuing them and taking them to Battersea Home For Dogs and posting them on his Instagram account. 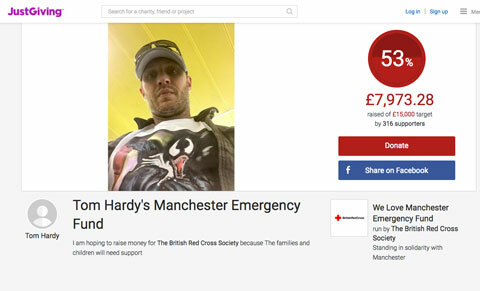 And if that wasn't heroic enough, last year he used his stardom to launch a fundraiser for the victims of the Manchester terror attack by creating a JustGiving page, with the proceeds going towards the The British Red Cross Society.